We see our information that we've written years ago and posted on this website on other websites around the country. It's like the saying "Look for gold where others have found gold". So they copy our models, our descriptions, our designs, but they can't copy us as individuals. There is no one person in the U.S. that can claim to have sold more latex mattresses personally than our owner, Ken Hightower. That's right, when he's not taking care of everyday business issues he answers as many phone calls as he can and actually listens to the customers needs and then makes recommendations based on 4 decades of experience in the mattress industry. Where else can you get that kind of service? - Payroll and Prepaid cards accepted - Up to 24 months term for affordable payments - Early Purchase Options to save you money! 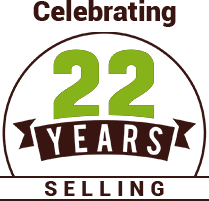 Celebrating our 22nd Year Selling Latex Mattresses Online! If you're tired of dealing with a lot of hype in the search for foam mattresses or latex mattress designs, you're in the right place. At Arizona Premium Mattress in Phoenix, AZ , we won't give you a line of bull or try to dazzle you with half-truths. We're just out to give you straight and honest answers about all your latex bed and topper questions. In 2003 Ken watched his wife and mother of his children pass away only 6 months after giving birth to his last child. She was the victim at only 35 years of age to toxic dumping. A major corporation in the Phoenix area had polluted the ground water in the area she was born and raised. Although it occurred 40 years prior to her death, the long term damage had accumulated in her system and in thousands of others living in the area. Residents received a whopping $350 each in the settlement. The lawsuit claimed that residents were exposed to the industrial solvent trichloroethylene, which is used by semiconductor plants. The chemical seeped into two aquifers in Phoenix. Hardly a slap on the wrist for the damage they have done which is why we as parents have to watch out for our children. One huge step is with a OEKO-TEX� Standard 100 latex. No healthier bedding material on the planet! All beds are NOT created equal, if they were they would all include OEKO-TEX� Standard 100 talalay or dunlop latex. The truth is that today�s technology for producing foams like Memory Foam or Polyurethane Foam may contain any or all of the following, each are known carcinogens. Talalay Global, formerly known as Latex International, Talalay Latex contains none of these and neither does any of our latex manufacturers and we are a recommended supplier for these wonderful Oeko-Tex 100 certified non toxic latex products. Now Shipping Latex Mattresses to Canada! As the online presence of the Arizona Premium Mattress Company, we are fully qualified to answer your questions. Whether you buy king organic mattresses from us or you choose another store, we're committed to offering you the best in service. After all, we understand that purchasing foam mattresses online can be a scary proposition. We want you to feel totally comfortable in doing business with us. That's why we offer a 60-night sleep trial on all models. Who can you trust when buying a foam or latex bed? A memory foam mattress specialist or an honest to goodness botanical mattress specialist who pioneered selling latex foam online over 19 years ago! Obviously, it disturbs us when we see "Latex Buyers Guide" produced by people who only sell memory foam mattresses. What qualifications do they have to offer a real comparison of all the different types of latex available? Think about it, would you really order Chinese food at a Mexican restaurant? At Arizona Premium Mattress Company located in sunny Phoenix,AZ we manufacture fine botanically derived foam mattresses. We now offer our latex mattress in four different styles including all natural Dunlop processed and natural Talalay processed latex. We ship our handcrafted latex beds and products nationwide, direct to your door - at our actual factory price. Most items are available for immediate shipment. We also manufacture custom size RV mattresses, sleeper cab mattresses for over the road truckers and latex mattress toppers for any size. Our latex mattress factory can build any specification you desire, just call for a quote. Our latex mattress company has been featured in articles published in the Los Angeles Times, Boston Globe and Chicago Sun Times for our unique online advertising approach. Over 18 years ago industry professionals thought we were crazy for trying to sell online. Who's going to buy a botanical foam bed or foam mattress topper sight unseen? Well, with our superior attention to detail and fair honest prices we proved them wrong. Who's crazy now? The better question is where doesn't our latex come from. We work with most the major latex manufacturers around the world including Latex International now known as Talalay Global and Radium Foam for our Talalay products. We work with Latexco in Belgium and the U.S. We also work with Latex Green in Sri Lanka and Signature Foam in India. If you have a specific manufacturer request just ask us. We can build your botanically derived foam bed your way! Organic Latex Mattress Now Available! From our family owned and operated latex bed factory in Phoenix, Arizona, we produce elegant latex bedding that compares in every way to the most well known name brand products - but that sell at half the price. 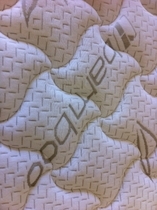 Our new all natural latex bed has received rave reviews from our customers. You'll enjoy wonderful sleep on our simply wonderful latex mattresses. Our latex toppers are cool to sleep on making them the perfect choice to upgrade any mattress, especially the usually hot memory foam mattresses. Our Talaly mattress toppers are a huge success and will different choices of firmness it's no wonder why they are so popular. 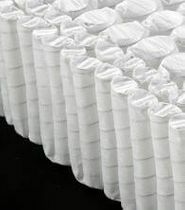 Our Talalay latex pillow collection is the perfect top off for any latex foam mattress ensemble. Purchasing direct from the actual latex mattress manufacturer gives you a tremendous savings advantage. You save a bundle by avoiding costly middle-men, big store markups, and the fat sales commissions paid out on latex and memory foam mattresses. Whether your favorite mattress is a Serta iComfort�, Sealy Optimum�, Simmons Natural Care or Englander latex bed, you will save hundreds - if not thousands of dollars purchasing one of our similar models directly from Arizona Premium Mattress Company. These types of mattresses provide a pressure relieving sleep and are the best sellers from well known makers such as Serta, Sealy mattress, and Simmons. However, compared to latex, it's like comparing bubble wrap to a racket ball. Which do you think will hold up better? We handcraft exquisite latex bedding of comparable or higher quality than the brand names - but sell factory direct at a SAVINGS that will allow you to sleep at night. We ship our latex foam bed designs to all major cities including New York, Philadelphia, Jacksonville, St. Louis, Detroit, Dallas, Houston, San Antonio, Denver, San Diego, San Francisco and San Jose. Visit Latex Mattress vs. Memory Foam Mattress for revealing insight as to the possible dangers of memory foam mattresses vs. latex foam mattress bedding and pillows.